In a well-timed moment of political gamesmanship that may or may not be totally based in truth, New Jersey State Sen. Ray Lesniak has accused NJ Governor Chris Christie of intentionally blocking the long-anticipated approval of PokerStars by New Jersey gaming regulators for an online-gambling service provider’s license in that state. Such an approval of the pending PokerStars New Jersey application, done in partnership with Atlantic City’s Resorts Casino Hotel, would mark the first such return of PokerStars to the regulated US online poker market following the company’s Black Friday-related exodus. So let’s examine the accusations, even if in the long run it might be impossible to determine exactly where the truth ends and the political posturing begins. It is true that Governor Chris Christie does have ongoing associations of some form with Sheldon Adelson, the billionaire Republican benefactor and CEO of Las Vegas Sands Corp, who has vowed to spend “whatever it takes” to make all forms of online gambling illegal throughout the US. Christie, whose plans of running for the GOP presidential nomination in 2016 are widely known, was among several prospective GOP candidates who personally sought Adelson’s blessing while attending a Las Vegas fundraiser at Adelson’s Venetian/Palazzo complex in support of SC Senator Lindsey Graham. Graham, soon after, emerged as the primary Senatorial sponsor of Adelson’s so-called “RAWA” (Restore America’s Wire Act) legislation, the measure through which Adelson hopes to ban US online gambling. Christie, though, did not emerge as a reported favorite of Adelson at the time, though it is virtually certain that Christie would have kept the lines of communication open to the GOP mega-donor and would have used appeasing language with Adelson whenever discussing certain key issues, such as online gaming. Christie has also long been accused of using delaying tactics in regards to various New Jersey pro-gambling bills before finally signing altered versions into law. The approach has allowed to straddle both sides of the debate, whether the specific topic has been New Jersey’s pursuit of internet gaming or its related and continuing pursuit of real-money sports betting, which was approved via voter referendum in 2011 but has still not come to pass. However, Lesniak, commenting directly to this author today on Twitter, noted that Christie is now fully in support of New Jersey’s sportsbetting efforts, albeit it with some effort. Be that as it may, Christie’s straddling maneuvers have provided some political cover, allowing him to claim to New Jersey’s gambling industry and to its voting public that he is solidly behind the state’s gaming interests, while also creating room to protest to anti-online-gaming and anti-sportsbetting GOP leaders at the national level that he’s been forced into it. That appears to the gist of Lesniak’s latest complaint, that Christie is damaging the state’s casino and gaming interests in order to curry national political favor. But is it true, at least in the specific sense, regarding PokerStars? 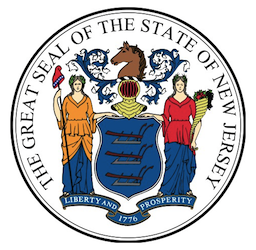 Is the New Jersey Division of Gaming Enforcement, which reports to Governor Christie’s office, actually sitting on PokerStars’ service-provider application in order to curry favor with Adelson and allow the possible national RAWA ban to be enacted? It’s been a long, long road for PokerStars, with observers of the state’s regulatory processes now suggesting that even preliminary approval for PokerStars won’t arrive until 2015 at the earliest. Since the latest series of conditional rulings signed by DGE Director David Rebuck did not include anything about the Stars application, it now appears that another three months will elapse until the next series of preliminary approvals is granted. The Stars application in New Jersey was already suspended once, but was reactivated this summer following the sale of PokerStars by the Scheinberg family to publicly-held Amaya Gaming, a Canada-based corporation that has already received approval from New Jersey authorities in connection with another partnership. Thus, it was expected that the approval for PokerStars would be rather straightforward and take only a matter of weeks. And yet, that didn’t happen. Nor is there a truly solid explanation as for why. The ongoing delays, now likely to stretch into 2015, would indeed provide enough time for Adelson to attempt to push his RAWA legislation through the lame-duck session of the US Congress, even though the path for such a bill is cluttered. During the lame-duck session, the current Democratic Senate majority remains in control (the House has had a GOP majority all along), and even if attached to any form of “must pass” legislation, it’s unlikely that RAWA could be expedited through Congress in a manner such as that employed by Bill Frist with the UIGEA back in 2006. It’s also unclear whether President Barack Obama would even sign such a bill, or allow a bill with RAWA attached to it to come to his desk, under threat of veto. (It’s more likely he’d ask Democrats to filibuster a RAWA attachment in the Senate.) Obama has never been an avid backer of online poker or other forms of online casino gambling, but RAWA’S primary target as a bill is the 2011 DOJ opinion by Obama’s then-Attorney General, Eric Holder, which stated that the 1961 Wire Act applied only to sportsbetting. Holder’s clarification wasn’t done for the benefit of online-gambling companies; it was done to assure states that online lottery sales would be legal under existing federal law, since they also fell into the same undefined area. Nonetheless, it’s unlikely that the Obama administration would accept RAWA in Sheldon Adelson’s preferred form. If there’s anything truly curious about PokerStars’ neck-deep-in-molasses New Jersey application process, it’s that some of the parties who could be presumed to be supporting PokerStars have been quiet, most notably PokerStars’ planned casino partner, Resorts Casino Hotel AC. The Mohawk-operated casino has been unusually quiet on the publicity front amid all the press appearances made by other parties. Lesniak’s claim that approving PokerStars for New Jersey online poker would be great for all of the state’s gambling business is probably true, since the site’s favorably band recognition with consumers will likely bring plenty of new players to the virtual tables. Yet no one is likely to benefit more from Stars’ approval than Resorts Casino Hotel AC, but Resorts is a no-show on the public stage. There’s also the question of last week’s bizarre conditional approval of software provider Pala Interactive to launch a site in partnership with the Borgata, one of the landmark casinos of the tourism-centered city. Pala Interactive’s cozy relationship with bwin.party likely opened the door for this latest site, which may be launched as soon as next week; it’s bwin.party that operates the other three Borgata-fronted sites in partnership with the casino. Yet the aplomb in which Pala Interactive received tentative approval in the face of the history of the company’s CEO, James Ryan, begs the question of just how thorough and straightforward the background investigation was into the California startup. Even a cursory background check into Ryan shows his pre-Party history as the CEO of UltimateBet parent company Excapsa, and none of the New Jersey reports regarding Pala Interactive’s approval even make mention of that part of Ryan’s checkered career. Exactly how Ryan and his company received approval remains unknown, and DGE director Rebuck did not respond to a request for comment. There’s also a man-in-the-middle question regarding Caesars Entertainment, which controls four of Atlantic City’s remaining casinos, and yet has little to gain from aligning itself with either the Adelson or PokerStars camps. Caesars has led the push by many online-gaming companies to expand into the online-gambling space, and has been an active though underfunded foe toward many of Adelson’s pet initiatives. Yet Caesars, likewise, has also been no fan of PokerStars, and played an important role two years ago in helping force the New Jersey DGE to suspend PokerStars’ initial application for approval. Caesars has a difficult choice in New Jersey, amid all of the company’s other financial problems, and that plays into the greater PokerStars equation as well. It’s not likely that Stars and Caesars would partner up any time soon, but both entities share common ground in wanting to battle Adelson and LV Sands. In Caesars’ case, with a possible bankruptcy filing looming in the near future, the online space represents one of the company’s last, best hopes for solvency. All that leads back to PokerStars and its long-delayed application. The New Jersey scene offers such an intertwined mess of interests that it’s hard to decipher the state’s likeliest long-term events. Even the most knowledgeable people on the scene have been repeatedly wrong, and the rest of us can only wonder, while the state’s many tug-of-war games continue.